Scroll down to the Contacts Section and choose Clients. This searchable list will contain all of your clients and can even be used to add new ones. By tapping on a client, you will be able to see and update their details. If for any reason you need to, you can also delete the buyer. Tapping on the showings or tour will provide you with the listings that were shown and the date and time of the scheduled appointments. On the left side click the Contacts menu, and choose My Clients. You can choose the edit icon (Pencil) to update the details for the buyer or see the Appointments and Tours for the buyers. 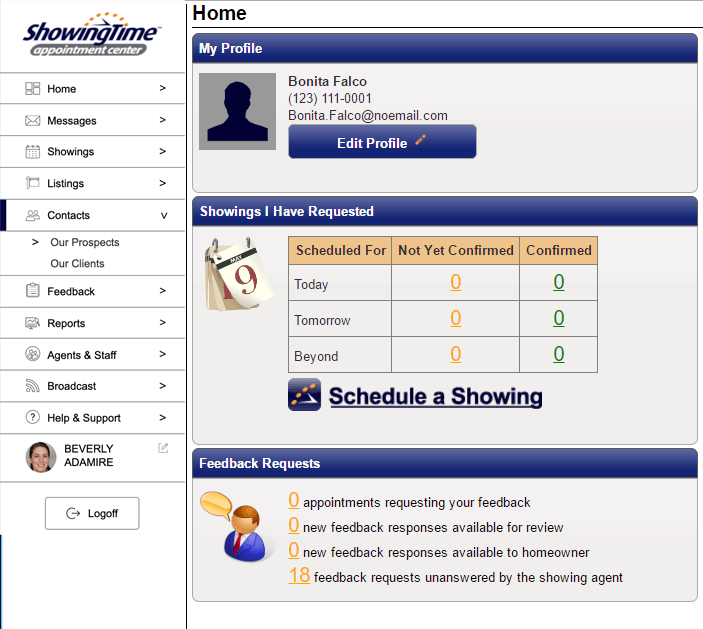 Clicking on the showing or tours will show the listings that were shown and the date and time of the scheduled appointments. You can search for the specific buyer by name or email or scroll through the list with page numbers at the bottom and even add new buyers. To show this report from the profile page you can choose Reports< and run the Showings I Have Requested Report. 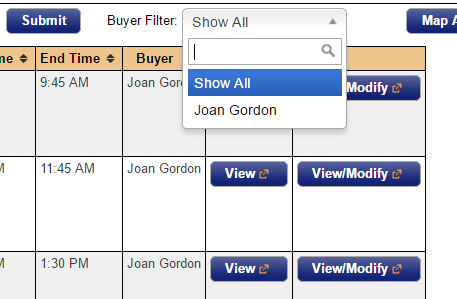 At the top of the screen, next to the date range boxes you will see the Buyers Filter. 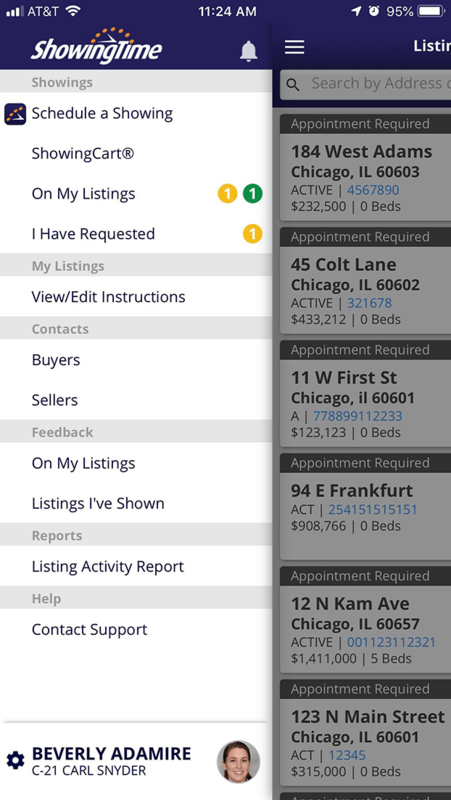 You can click the drop-down list to see all of the buyers or search for one in particular. Then, automatically based on the date range you chose, the appointments that you will accompany the buyer on will be shown.